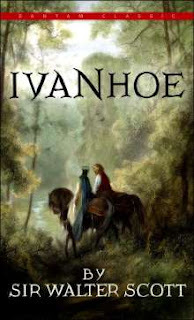 Ivanhoe was written in 1819 by Sir Walter Scott. It's set in 1194 in England and details the struggle between the English (Saxons) and the French (Normans). When the son (Ivanhoe) of a Saxon noble (Cedric) professes his allegiance to King Richard, he is disinherited by his father. The novel details the life of Ivanhoe and his struggle to uphold the ideals dear to him. There is no doubt in my mind that when adults read portions of Ivanhoe to their children nearly two centuries ago, they hung on to every word. But this book was not meant for children, on the whole. It was meant for adults, and part of the appeal was being taken back to their youth, as readers. Adventure, gallantry, heartache, perseverance, honour, valor... this work had all of it. Surprisingly, it also contained nuggets of humour at times. In the end, the morals of the story are what made this book special. Nineteenth century literature can often be unexpectedly simple to read at times, but at others, it can be a slog. When I get into books published during this time period, I always hope that I can get past the prose and focus more on the content. Sometimes, the prose isn't the problem - stylistically, something seems to be lacking. In this case, I found the style to be a problem for me. Specifically, the book was too dramatic but lacked a certain momentum between events, due mainly to having long pieces of dialogue about trivial points of information. The tendency to droll on about concepts with little to no importance to the novel was rampant by Scott. I'm not sure if he just got carried away, sitting in his own English castle (Scott didn't live modestly, according to a photo my grandmother showed me of his abode) or if he simply didn't know how to edit properly. A good editor would have done this book wonders. Scott's mastery of characters, however, was remarkable in Ivanhoe. 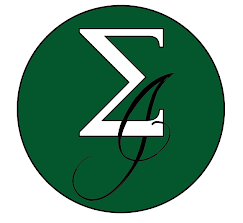 Most seemed simplistically drawn, but each seemed to hold a place in one's mind. The character with the most amount of depth was Rebecca, arguably the true protagonist of the novel. A Jew during a time when Jew's were considered inferior citizens, she stood up for herself and the oppression of her people everywhere. According to Wikipedia, the modern image of Robin Hood owes a lot to Sir Walter Scott's portrayal of him in Ivanhoe. Famous scenes from many books and movies such as the tale of Robin splitting an arrow in two with his own, come from this book. Also making an appearance are Little John and Friar Tuck. When I think back on this novel, my favourite event was an interaction between Friar Tuck and The Black Knight, which showed a lovely part of Scott's humour. When they first met, Friar Tuck explained that he was a poor man of God, and could only give him modest accommodations and food. The Black Knight asked him how he could get to be of such a girth, on such modest meals. After some back and forth, Friar Tuck brought out the venison and ale and a fine feast was had. I suppose this is a jab to some Christian men of distinction, a theme that was common in this novel. Scott poked fun of religion, brought to light cruel treatment of the Jewish people, and showed the absurdity of war and 'games' over honor which brought death to people. This novel was a statement and had a pronounced effect. But what makes this novel a classic, is that the themes and the absurdity of religion, war and racism are still evident nearly 200 years later. They are as absurd today as they were then. Have human beings really make progress with these themes as a whole? This is a question that makes this novel timeless, and worth a read. That said, be prepared for an up and down ride. There are periods of excitement and humor, but you have to invest time and energy to get to them. This novel took me nearly two months to read due to this, and I wouldn't read it again; but I enjoyed the story and the attempt of Scott to change the way in which we view some of the absurdities of man.